Oneness Pentecostalism is a movement within the broader Pentecostal movement which rejects the Trinity and is essentially a revival of Modalism. Oneness Pentecostalism arose shortly after Pentecostalism itself. In the USA in 1916 the newly formed Assemblies of God fellowship officially affirmed the Trinity, and "a third of the fellowship's ministers left to form Oneness fellowships". What is an overview of how Oneness Pentecostalism spread and grew during the twentieth century? What sort of mission strategies did the movement have? Did the American Oneness churches start foreign mission efforts immediately, or only after some time? Were there united mission agencies, or did each American denomination work independently from the others? Did they generally focus on evangelising to non-Christians, or did they also aim to convert Trinitarian Christians to the Oneness doctrine? 1. Their methodology counts each counts each country's denominations separately, so that there are 242 Catholic "denominations" and 168 Anglican "denominations", so all such denomination numbers may seem much larger than expected. I found an article that gives an overview of how the United Pentecostal Church emerged in 1945, although it does not comment on any sort of mission strategy that might or might not have been employed. However, some information may be better than no information, and perhaps others may be able to provide specific information to your very specific questions. The United Pentecostal Church is a Oneness Pentecostal denomination that was formed in 1945 when the Pentecostal Church Incorporated and the Pentecostal Assemblies of Jesus Christ merged. Their website says that they “grew from 521 churches in 1945” to “4,243 churches and daughter works in 2010.” The United Pentecostal Church claims to be “among the fastest growing church organizations since it was formed in 1945.” Because United Pentecostal Churches are normally congregational in government, there can be some differences among individual churches. As a self-governing church body, each congregation elects its own pastors and leaders. The denomination’s headquarters is in Hazelwood, Missouri. I have no information on how the Oneness Pentecostal movement goes about evangelising except to comment on earlier revivals that received a lot of publicity, some of it negative. Oneness Pentecostals (OP's) accounted for about 1/4 of Assemblies of God ministers before the split between both groups. Most of the OP's ended working with the Pentecostal Assemblies of the World until they separated as well due to segregation. This led most of the white OP's to form many smaller Oneness groups. I believe all groups had some type of foreign mission work overseas but the OP's were hindered by not having as many large organizations as the Trinitarian groups. Mergers were always considered but never fully achieved until 1945 largely due to the great depression and WW2. Doctrine was a slight problem among some of the OP's since they had all came from a different type of background. Some were stronger on the plan of salvation based on ACTS 2:38 and holiness beliefs while others were not. The most successful merger was that of the United Pentecostal Church, which was founded by two largely white OP's group. The larger growth did not occur until afterwards for most Pentecostal groups including the AOG. But mission groups for both groups were started as early as Azusa Street. OP's group did make a large push for overseas work due to the lack thereof for the first 40 years of their movement. The Oneness movement spread quickly in it's early in already established works either in the AOG or other denomination that simply came in the Pentecostal faith. So yes there early goal was to convert already established congregations to the "truth". For example, here in some parts of Canada, there are large UPC churches since they were the first Pentecostals here while in another province they are very small. The OP's today grow in church planting efforts and are not growing out of other groups as often as the past. For the most part the racial line had caused many groups to work separably from each other but there was some percentage of both groups from all backgrounds. Not the answer you're looking for? 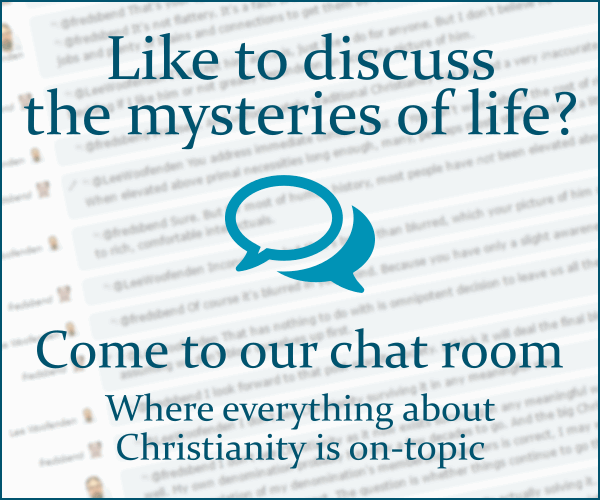 Browse other questions tagged church-history evangelism missions oneness-pentecostalism or ask your own question. Why did John Wycliffe oppose papal authority in the 14th century? How do United Pentecostals and other Oneness groups interpret Hebrews 2:9? How does Oneness Pentecostalism interpret Matthew 3:17? What's the difference, if any, between the Swedenborgian and Oneness Pentecostal doctrines of God?